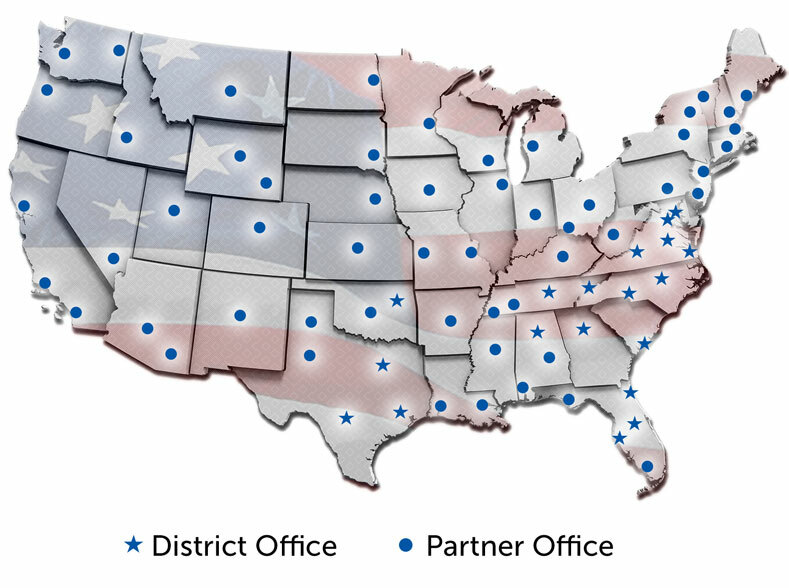 Fire & Life Safety America has 19 district offices and 350 partner offices nationwide to protect lives and property from fire and safety hazards across America. We have hundreds of experts available across our multiple locations, which allows us to handle any fire or safety protection request—regardless of the size or time frame. View our district office locations below and get in touch to find personnel near you.